It’s true that microwaves get a really bad rap as a cop-out method to nuke a mediocre frozen meal or reheat the day-old foods but no one can actually argue about the fact that microwaves are just great when it comes to cooking food quickly! Yes, there are foods that are better not cooked or reheated in the microwave but there are also plenty of other foods and recipes that taste just as good and delicious microwaved as they do when cooked or reheated in the oven or a stovetop! INTERESTED TO READ ON, DON’T HESITATE TO CLICK ON NEXT AND DISCOVER 10 NEW FOOD TRICKS THAT YOU DIDN’T KNOW YOU COULD TRY IN THE MICROWAVE! 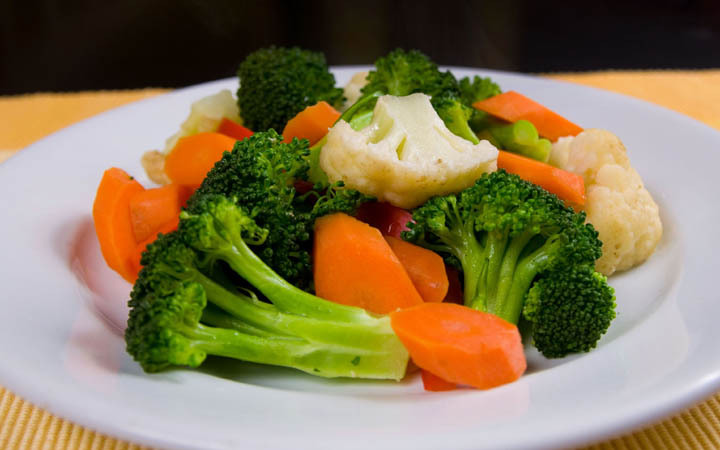 What you have probably never realized is that you can use the microwave to steam your veggies and serve them in almost no time! If you think that this is not a wise and a healthy idea, then, probably, you might need to know that Shauna Sacco, who is a certified personal trainer in Houston, said that cooking food in the microwave can surprisingly conserve the most nutrients than other cooking methods. Hence, don’t hesitate to use it for such purposes. For instance, to steam your broccoli, you just need to cut and trim its head and then put it in a microwave-safe bowl or plate and then add some 1 to 2 ounces of water. For fast results, don’t forget to cover the plate and leave it for 2 minutes and so until you have the desired softness! Before serving, you can add a pinch of salt and why not the juice of two lemons! That’ not everything as you can also use the microwave to steam corn on the cob, said the chef Matt Abdoo of Pig Bleecker and Pig Beach restaurants. To do so, all you need is to leave the corn in the husks and microwave on for about 3 to 4 minutes and then be ready to serve a perfectly cooked corn without having to lose all of its flavors.